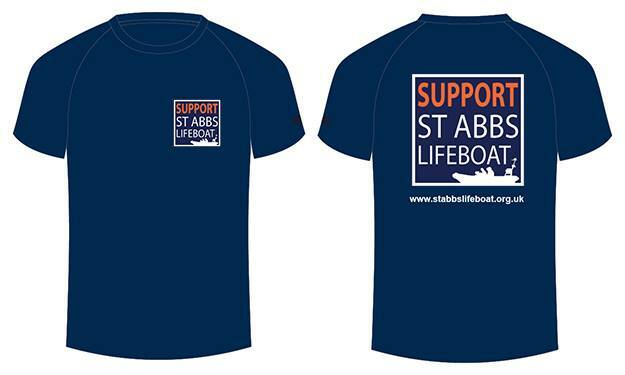 All our profits go to support the work of the independent St Abbs Lifeboat. St Abbs Lifeboat is a charity (SCIO) registered in Scotland, charity number: SC046312 The following terms and conditions listed below will apply between you and “St Abbs Lifeboat – Online Shop” for the sale and purchase of the items contained in your basket. The terms do not affect your statutory rights. Goods will be sent to the address given by you in your order and stated in the order confirmation. Please note that occasionally goods ordered may be sent to you in installments. We will make every effort to advise you (by email) if this is the case. If your delivery address is not within the United Kingdom, you may be subject to import duties and taxes, which are levied once a shipment reaches your country. Any such additional charges for customs clearance must be borne by you. You should note that customs policies vary widely from country to country; “St Abbs Lifeboat – Online Shop” advises each customer to contact their local customs office for further information. When you have completed your order you will be sent an e-mail confirmation. It will state what the products are on order, the total cost including Postage and Packing charges, together with delivery details. If for any reason your order cannot be processed, a member our team will contact you to explain the nature of the difficulty. No contract for the sale of any product will subsist between you and “St Abbs Lifeboat – Online Shop” until the product(s) ordered have been despatched. We will send a confirmation email when the goods have left our warehouse. This confirmation e-mail amounts to an acceptance by “St Abbs Lifeboat – Online Shop” of your offer to buy goods. Where an order is to be fulfilled in installments, those products yet to be despatched will not form part of our contract with you. You must check that the details on this confirmatory e-mail are correct as soon as possible and you should print out and keep a copy of it. “St Abbs Lifeboat – Online Shop” will never make your personal details available to other companies for marketing purposes. We will keep a record of your address details with the intention of sending your order. Information you enter into your order form may be collected and stored briefly by us so that we may contact you in relation to the nature of your attempted transaction, even if you do not confirm the transaction. This may be used to send operational emails to enquire as to why the purchase was not completed. We will not use this data for any other purpose, we will not store it for longer than necessary and we certainly will not share it with any other company. Our aim is simply to provide you with the highest level of service that we can. All credit and charge card holders are subject to validation checks and authorisation by the card issuer. If the issuer of your payment card refuses to authorise payment to us, via PayPal, your order will not be accepted and “St Abbs Lifeboat – Online Shop” will not be liable for any delay or non-delivery. Your statutory rights as a consumer are not affected if, for any reason, you wish to return a product bought from “St Abbs Lifeboat – Online Shop”. “St Abbs Lifeboat – Online Shop” shall have no liability to you for any failure to deliver goods you have ordered or any delay in doing so or for any damage or defect to goods delivered that is caused by any event or circumstance beyond its reasonable control. These Terms shall be governed by and construed in accordance with Scottish Law and agree to submit to the exclusive jurisdiction of the Scottish courts.